Home » Company » Why Medical Billing Services Make Sense For Your Practice? If you are a physician who runs a medical practice, you certainly understand the importance of medical billing in your business. Patient care is your number one priority but it could be comprised with in-house medical billing. This is why medical billing services are imperative. When you outsource your medical billing and coding to a professional company, you are putting their billing and coding into the hands of experts. They thoroughly understand the medical billing and coding regulations and landscape. With a professional billing company, you don’t have to train your staff regularly for efficient billing. When you hire a reliable medical billing service, you have experts taking care of your collections and improving your bottom line, while you save on hiring and training employees and installing expensive software. Why spend precious hours training and re-training your staff or arguing with insurance companies for payment, when you can hire a professional medical billing company to do it all for you? Moving from in-house medical billing to outsourcing will also save you a lot of space. You can utilize this space to create more room for equipment or more patient rooms. Simply put, it makes sense to hire a professional medical billing and coding service rather than doing it in-house. 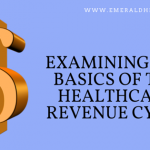 To learn more or to take advantage of the services offered by internal medicine billing service, call Emerald Health LLC at 855-650-9906 Today. 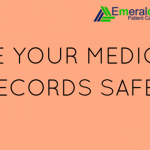 Emerald’s Electronic Medical Records (EMR) Software was designed with a very powerful and simplistic user interface allowing users to quickly find and enter patient data. Ease of use and a minimal learning curve ensures you and your staff can start using the software almost immediately.